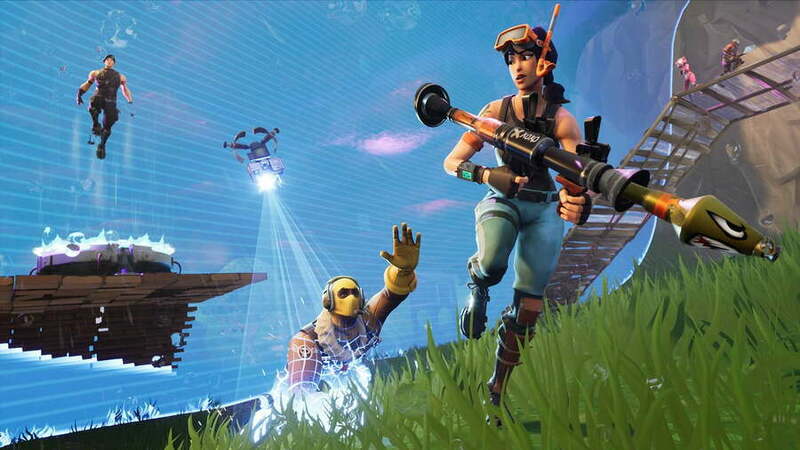 Epic Games has announced that Fortnite's account merge feature - which was set to be introduced this month - has been delayed until early 2019. If you missed the news on this one, the merge feature is in the works to help those who were forced to create a new account on Nintendo Switch when Sony blocked all accounts that had been used on PlayStation. 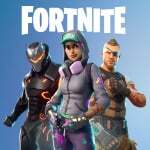 When up and running, this feature will allow players to merge all purchases and cosmetics, win totals, V-Bucks, and more from their various Fortnite accounts together, meaning that the items they've bought in-game on Switch, PlayStation, or any platform can be accessed across all devices. "Due to some ongoing technical concerns, we will be delaying the Account Merge feature until early next year. We want to make sure that this process is thoroughly tested and working properly before releasing it to those of you currently looking to transfer purchases from other accounts to your primary account. We’ll be sure to update you as we get closer to the release of the feature, which will include a web page on launch to help guide you through the flow!" If you were unaware, Sony's account block itself has now been lifted, meaning that Fortnite players are slowly getting to a point of playing the game how they like - which arguably should have been the case right from the beginning. Hopefully, this final step won't be too long away. Did you or anyone you know have to open up a second account to get started on Switch? Perhaps your first experience of the game was on Nintendo's machine anyway? Tell us below. The best part about this article is how I got a PSPLUS ad. To make it twice as better, this is a Nintendo website. Edit: I came back to reply to a ping and just realized it has "come back to psplus". This just made my day! Publishers are blocking this on Rocket League and now WarFrame also. I either make a new account (and loose everything) or get 1 transfer and then it is "locked" on the Switch anyway. I can care less about cross play, but Cross Progress should be part of every F2P game. @MysticGengar Is PushSquare a PlayStation frantic? If so, why is Xbox there then? @Agramonte rocket league never had cross progress and warframe can migrate accounts. So...is Sony’s account system that invasive to Epics account system (and by extensions everyone elses) that this requires this much work?! Seems that Nintendo and Microsofts are pretty open (for developers) since it appeared that the developers were able to turn on cross-play/progression without much effort. @LetsGoSwitch Nintendolife, Outside Xbox, and Push Square are all part of the Gamer Network. It’s just that some of the staff at Push Square isn’t great and OX is not really popular. Sony seem to be attracting a fair bit of negative press these past few months. From this Fortnite fiasco, not allowing cross play, censorship and skipping E3. If they keep it up they could find themselves in the position Microsoft were in with the Xbox One. @PolarExperience You mean Pure Xbox right? Thought they closed that a while back leaving just NintendoLife and Push Square. Thought Outside Xbox/Xtra are a part of Eurogamer. The BIGGER problem is that if you have a child account, cross-play is now disabled across all consoles! @OorWullie If sony continue on they are going to get hit with some juicy humble pie, just as they did riding their high horse off of the PS2. Real question is if Sony don't buck up their ideas and start being community friendly again, can they financially pull through? @NintendoFan4Lyf I can't see why it is taking so much work, as Epic proved on release it is literally flipping a switch to enable cross play. So how hard can it really be now? @607jf Neither did Paladins, but now they doing it. And one way Migration to locked account is no better... everything you buy from that point on is locked on Switch. There is no difference when SONY blocks it or when the Publishers/Developers do it on their end. Obvious now that they can make it not be that way. @XenoShaun They did close down Pure Xbox, but OX and Eurogamer are still part of the Gamer Network. The big difference between NL/PS and other parts of the Gamer Network is really just formatting and features. @PolarExperience Ah alright, interesting to know. There's a reason I refuse to buy anything made by Sony. Not just their gaming consoles. In just a few years Sony went from "this is for the players" to "it's just so hard to do." So when did Sony start letting games cross-play with other systems? And are Minecraft and Rocket League included, or just Fortnite? Aye, just like CWC's dimensional merge, it would seem. I can't blame Epic for this, it's 100% Sony's fault. I'm in no rush though, I didn't have much on my old playstation account anyways, just a few exclusives. Hoping Sony gets as much crap for their behaviour this year as possible.